Hernán Marina was born in Buenos Aires in 1967, where he currently works and resides. He is a visual artist and a sociologist. His works take on many different forms, from performance and video to interventions and sculpture. 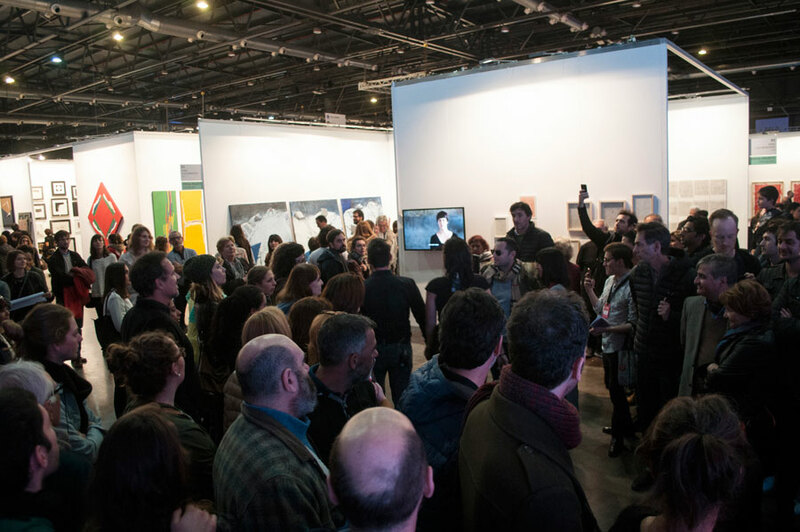 He participated in many different exhibits such as The Water Event, in the framework of Yoko Ono. Dream Come True, and Poner el cuerpo (Buenos Aires, 2016); ARCO Solo Project (Madrid, 2015); U Turn (Buenos Aires,2014), Perceptus mutantis (San Pablo, 2011), Remap 02 (Atenas, 2009), and Cine y casi cine (Madrid, 2007). 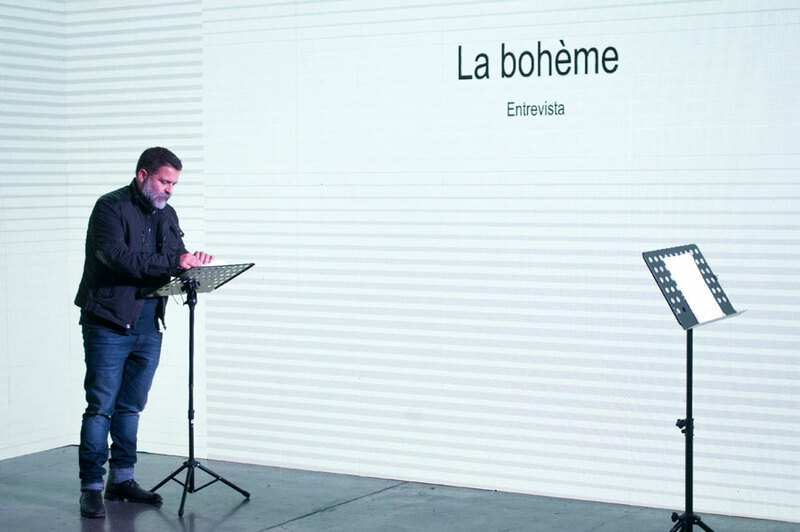 His solo works include: Hermes (Buenos Aires 2014); Gestos, diagramas y posturas (Rosario, 2014); Gestures and Postures (Zurich, 2013 and Rotterdam, 2013); Helenismo (Rotterdam 2009), Silencio (Bogotá, 2007); and Men’s Health (Buenos Aires, 2003). 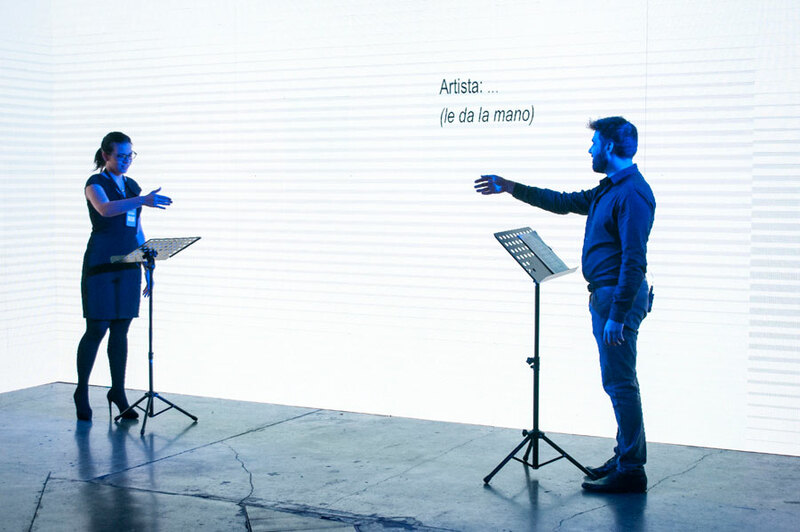 He received the First Salón Nacional Prize, Nuevos Soportes of Palais de Glace (2015); the Second Fundación Andreani Prize (2011); the MAMBA- Fundación Telefónica Prize (2009); the Creative Fellowship of the Fondo Nacional de las Artes (2007), to name a few. His work can be found in many institutional collections of museums such as the Museo de Arte Moderno de Buenos Aires (MAMBA), the Museo de Arte Latinoamericano de Buenos Aires (MALBA), the Fundación Telefónica de Argentina, the Museo de Arte y Diseño Contemporáneo of Costa Rica, Fundación ArsTeorética in San José de Costa Rica, the Museo de Arte Contemporáneo de Castilla y León (MUSAC) and the Museo Provincial de Bellas Artes Dr. Juan R. Vidal in the city of Corrientes. May 24th – 20 hs. May 26th – 17.30 hs. May 27th – 18 hs. 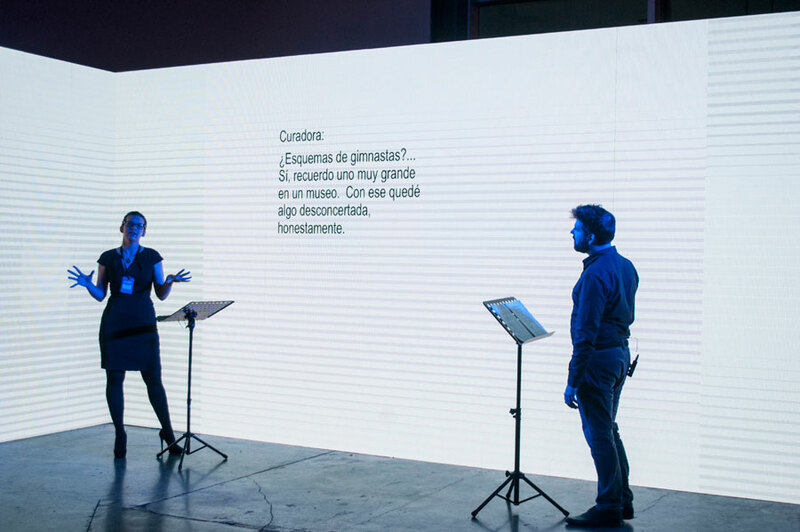 The piece is a performance based on a fictionalized dialog between a visual artist from Buenos Aires, and a foreign curator. 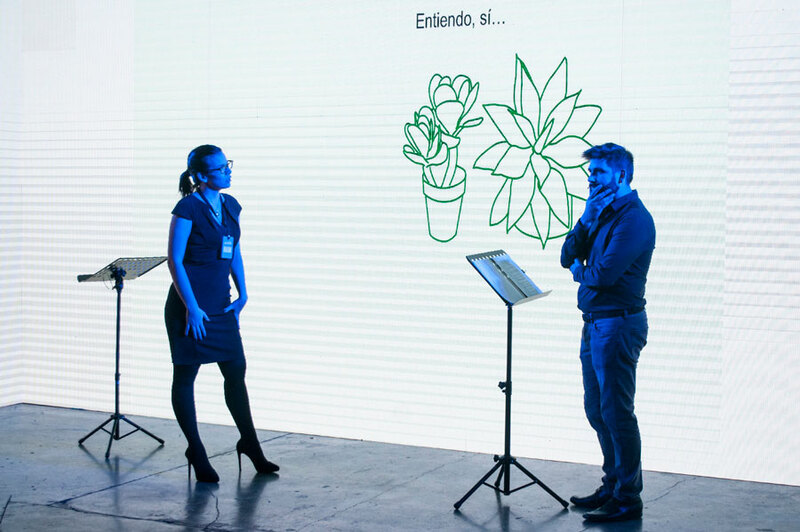 She is interested in the artist Rodolfo, with a view to the presentation of one of his pieces at an international biennale. The exchange between both strangers is a tense and cold verbal duel. 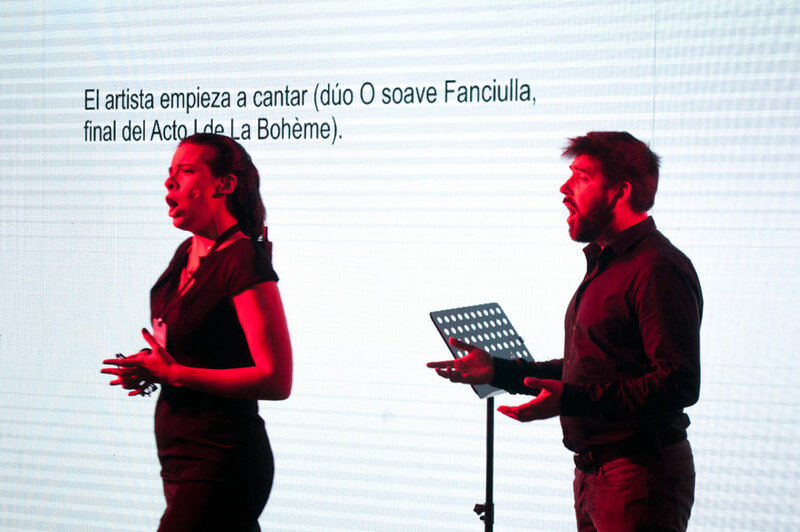 A music twist finally connects the characters who seem to be reliving the end of La Bohème’s final act. 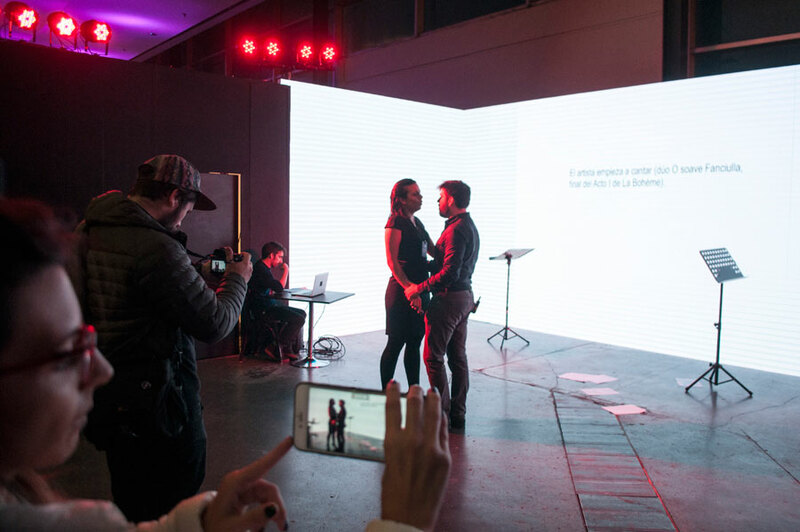 The performance, of approximately twenty minutes, is a sort of “micro opera” where a fictionalized reality (the practice of an artist and his professional relation with a curator) blends with references to the lyric genre, in addition to the question of La Bohème within a context where contemporary art appears as a field that is clearly professionalized and restricted by international fairs and biennales. 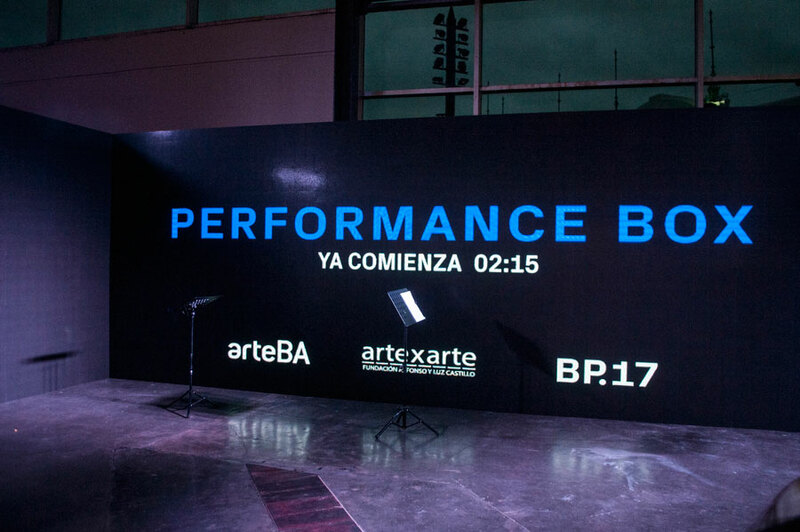 The dialogue with BP.17 and ArteBA makes it more complex and turns it into a site-specific piece, condensing its meaning and giving it a very peculiar identity.